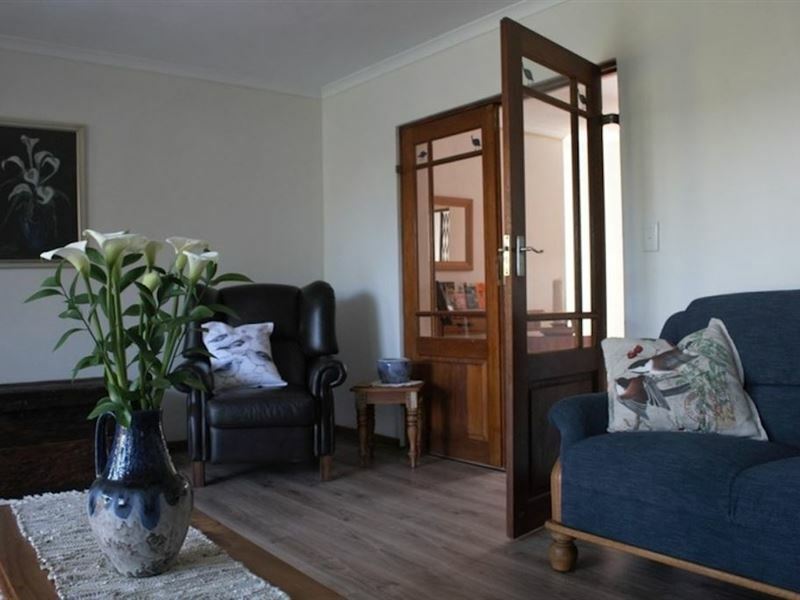 The accommodation comprises of 4 en-suite (shower) double rooms and a self catering flat. 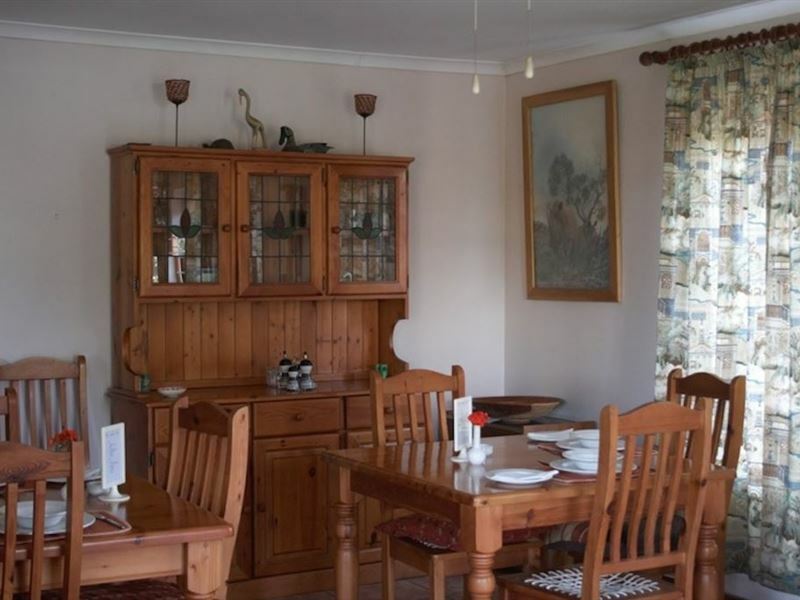 Breakfast is included in the rate for the double rooms but not the Self catering flat. 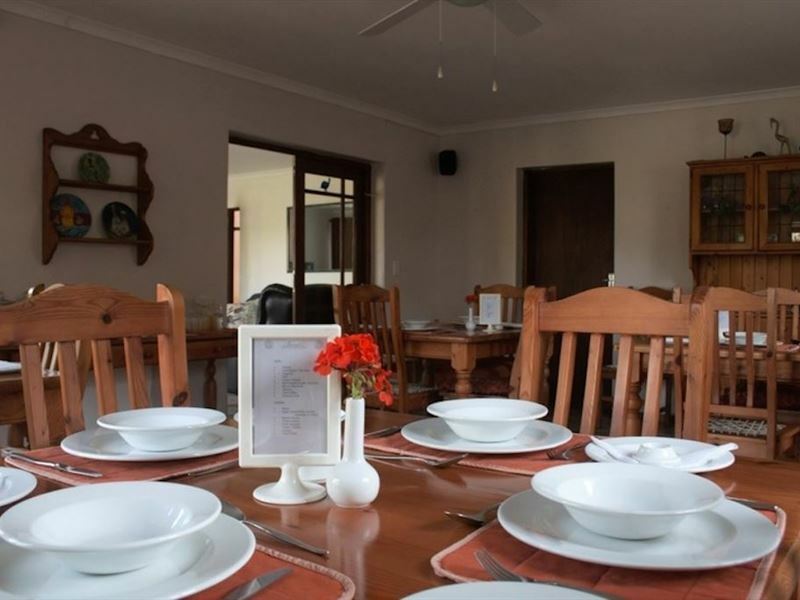 All rooms have free Wi-Fi, TV, mini fridges, ceiling fans, a heater and tea / coffee facilities. 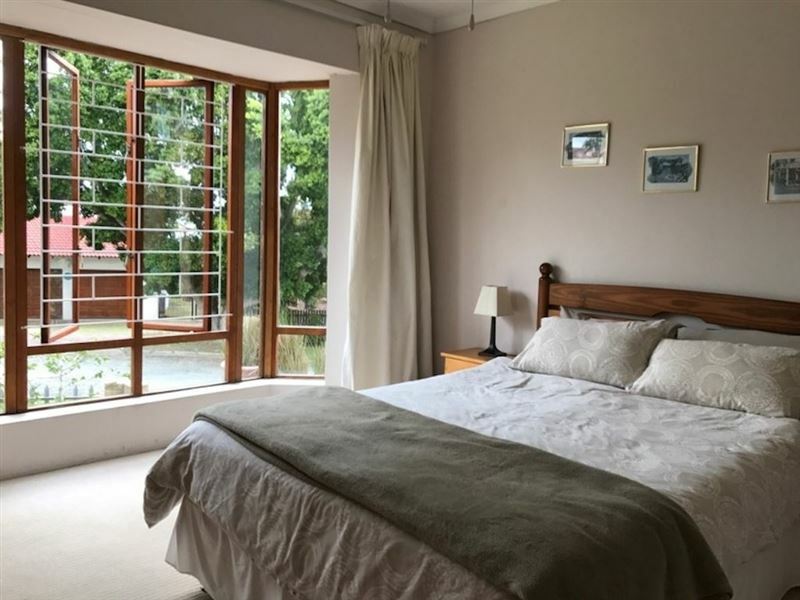 Guest facilities include a guest lounge with TV/radio/DVD, a fenced swimming pool, braai facilities, and parking on the premises. 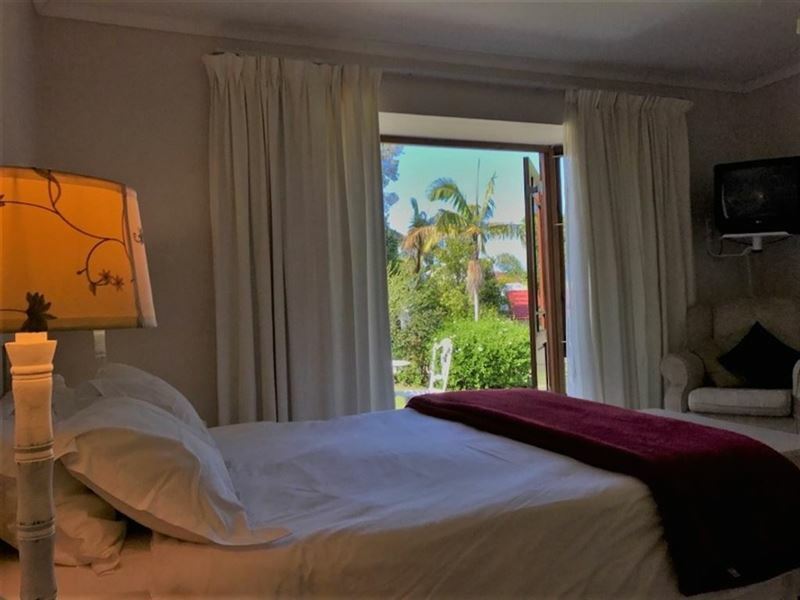 The guest house is close to the Knysna Lagoon, Waterfront, CBD, and the Garden Route National Park. The town is a popular destination for both local and international tourists due to the year-round warm climate. Sehr nette Gastgeber, die vor der offiziellen Frhstckszeit persnlich aufgestanden sind und uns Frhstck machten, damit wir frhzeitig weiterfahren konnten um unseren Termin zu erreichen. Die Zimmer waren sauber und ausreichend. "Warm, friendly owners who made us feel like we were family." 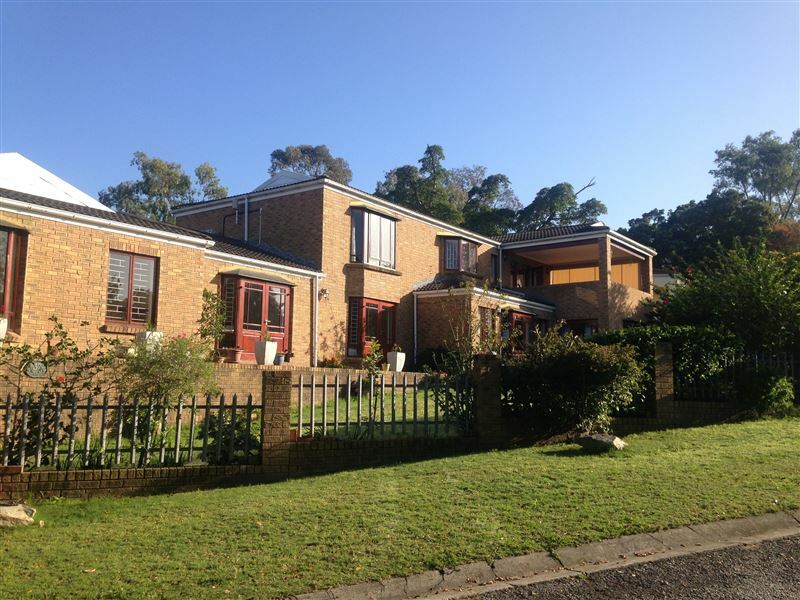 We were visiting Knysna for a funeral and had the privilege of staying at this beautiful guest home. 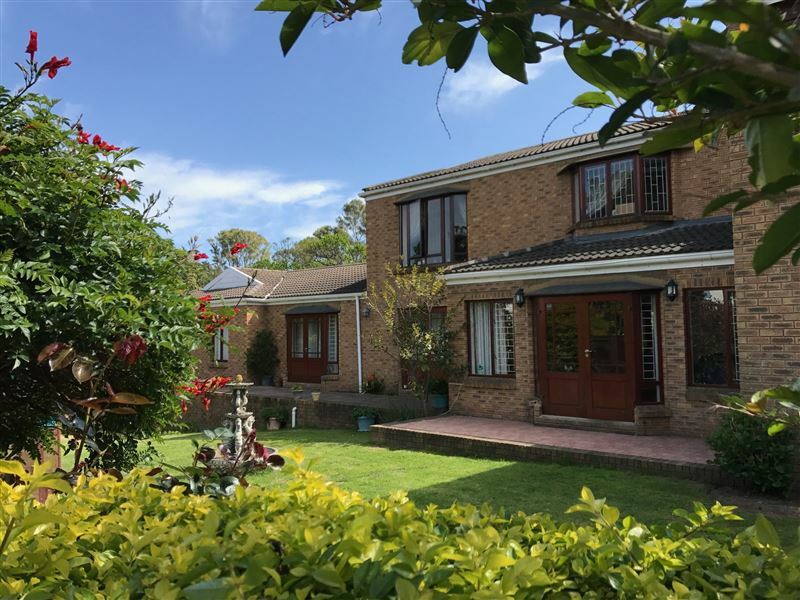 The owners, Steve and Christa, sympathised with us and made us feel like we were right at home. 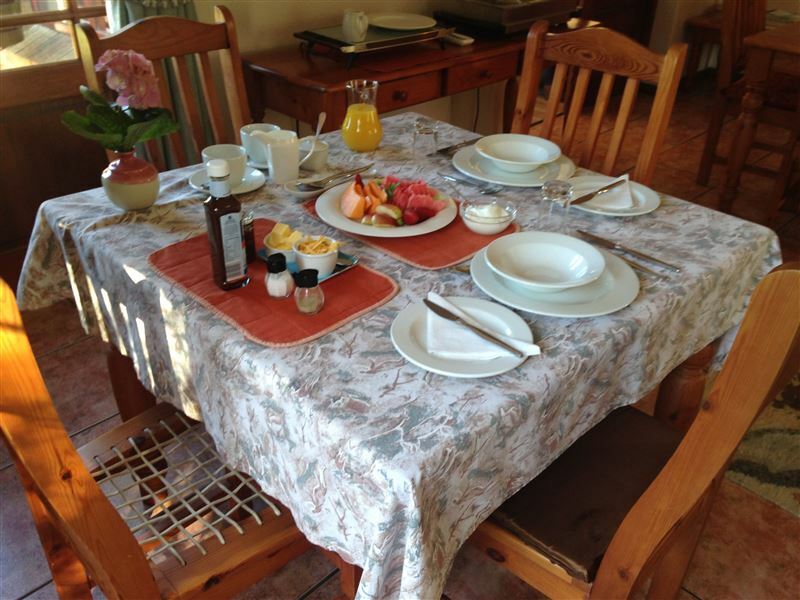 Their approach was warm and friendly, and the delicious breakfast which Christa prepared was hearty and delicious. Our hearts and tummies were full! We will definitely be back in future. The hosts were kind and inviting. We enjoyed our stay thoroughly! Very hospitable. Didn't like the dogs inside the house though. Endroit tranquille et pas trs loin du centre. Great couple running this place, but it needs an upgrade. 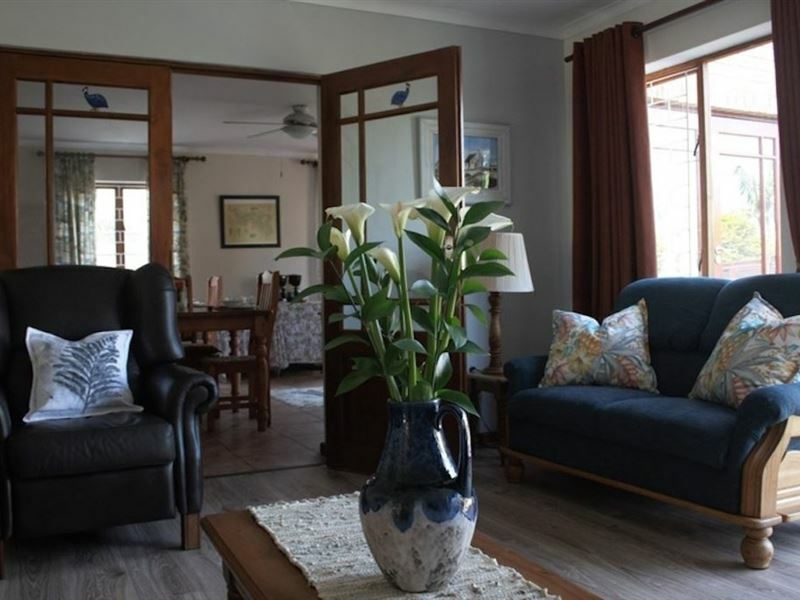 Request a quote from Blue Fern of Knysna at no obligation.